What is oily skin and what causes it? What type of oily skin products should I look for? Oily skin is common, but with the right skin care products and routine it’s manageable. Any regimen for oily skin should include cleansing, treating, hydrating, and protecting. Dermatologists say it’s okay to use different products on different areas of the face. Oily skin is caused by an overproduction of sebum, an oily secretion released by the sebaceous glands found in the skin. When produced in normal quantities, sebum helps protect and hydrate the skin. However, when an excess amount of sebum is produced, it can cause pores to become clogged, resulting in blackheads, whiteheads and a shiny or greasy complexion. The key steps in managing oily skin are to cleanse, treat, hydrate, and protect — once in the morning, and once at night. Wash your face with warm water and foaming cleanser. Warm water is better for your skin than hot water, and the foaming action of the cleanser will lift and remove oil and debris from your pores. If your oily skin is also acne-prone, try a foaming cleanser with benzoyl peroxide. Complete this step with an oil-removing toner made to address other skin care needs, like acne or rosacea. That toner also helps to prepare skin for treatment, even providing some treatment itself for acne or uneven skin tone. For the next step, use other skin care products designed to address your individual skin problems. These may include acne treatment cream, wrinkle cream, or home remedies like coconut oil or aloe vera for inflammatory conditions. The T-zone — your forehead and nose — is usually the oiliest area of the face, while the rest of the skin on your face could be dry. If so, use a lighter moisturizer for the T-zone and a heavier one for drier areas around the eyes, the sides of the cheeks, and along the jawline. For the T-zone, find a moisturizer with hyaluronic acid, which holds moisture in the skin while leaving it feeling light and airy. For the rest of your face, a moisturizer for normal skin should be fine. This step only needs to be done in the morning, before exposing your skin to direct sunlight. Aim for a sunscreen with SPF 30 or greater to ensure the most adequate protection. Blotting papers absorb excess oil from your skin quickly and effectively. This is a popular product because it won’t strip your skin of moisture or remove other products, like makeup or sunscreen. Blotting papers are particularly convenient when you’re away from home. Be sure to use the papers by patting them all over the face as opposed to dragging them, which can contribute to wrinkles. Acid may sound like a bad idea, yet it’s essential for regulating sebum production. Sebum is a combination of dead skin cells and the lipids your sebaceous glands produce to keep your skin from drying out. When your glands produce too much sebum, clogged pores, breakouts, and other skin problems appear. You can exfoliate dead skin cells and unclog pores by using a facial cleanser or toner that contains a water-soluble, alpha-hydroxy acid called glycolic acid or a lipid-soluble, beta-hydroxy acid called salicylic acid. This derivative of vitamin B3 reduces oil production, making it a healthier alternative to the harsh chemicals found in astringents. For example, alcohol absorbs excess oil yet dries skin out so much that it triggers excess sebum production and clogs pores. Instead, niacinamide helps skin naturally retain moisture and moderates oil glands. People with oily skin often avoid putting sunscreen on their face, but too much sun exposure can cause damage, leading to sensitive skin and other problems like wrinkles and hyperpigmentation. Fortunately, water-based sunscreens and oil-free moisturizers with SPF protection are available over the counter. Enlarged pores are a common frustration for people with oily skin, driving some to excessive exfoliation. There’s an alternative — clay or mud masks used once or twice a week can naturally absorb excess oil and rid skin of debris and impurities that contribute to large pores. Meanwhile, clay restores minerals to the skin, making it look healthy and luminous. Jaliman adds that masks with pure, natural ingredients are best. Salicylic acid, for example, helps alleviate oily skin and acne, while kaolin clay provides hydration without clogging pores. Bentonite clay, formed from volcanic ash, is another good option for clogged pores, acne, and oily skin in general. Yogurt nourishes the skin, whereas oatmeal draws oil out of it. In either case, make sure to follow the mask with toner and moisturizer to avoid dry skin. Everyone’s skin is different, so you should cater your skin care products and regimen to your needs. The American Academy of Dermatology recommends that people with oily skin wash their face after exercise — in addition to washing in morning and evening — and avoid scrubbing, which can irritate skin. As often as possible, select products that say “oil free” or “noncomedogenic,” as these won’t clog pores. Also, don’t sleep with your makeup on, and avoid touching your face during the day, because these things will bring more dirt and bacteria to your face. When managing oily skin, a single product will rarely do the trick. A completely face treatment regime will help you reduce oil and help your skin regain its healthy balance. From cleanser to sunscreen, it is important to choose the product that best suits your needs at every step of the way. 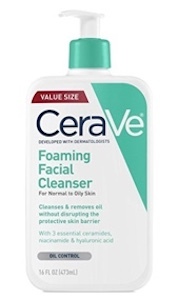 CeraVe’s cleanser is specially designed to help remove oil while keeping skin healthy and hydrated. It’s refreshing foam also helps to remove any dirt and debris on the face leaving you with a true deep cleaning experience. CeraVe utilizes hyaluronic acid, a substance that has been shown to reduce wrinkle, to help maintain skin over time. After cleansing, your face is ready for a healthy toner. 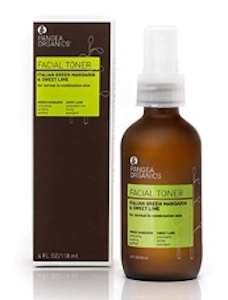 Pangea Organics’ Facial Toner uses natural ingredients like green mandarin oil, lavender extract, and lemon balm extract to removing impurities and leave you with balanced your skin. This toner is ideal for fighting the visible signs of aging and sun damage that impact everyone. 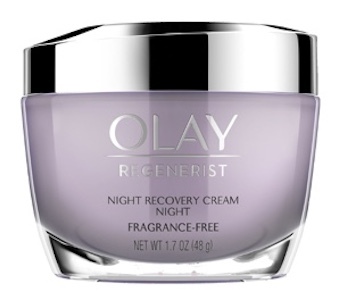 If you are specifically targeting wrinkles, Olay’s Regenerist Night Recovery Anti-Aging Face Moisturizer can bolster the anti-aging properties of your cleaner and toner. This moisturizer not only helps to prevent further damage, but also reduces existing fine lines and wrinkles. By penetrating deep into your skin, Olay’s Anti-Aging Face Moisturizer improves the appearance of skin at the source. While some use the same moisturizer across their face, others prefer to use products specifically developed for different regions of their face. Specifically crafted to target the T-zone (the nose and forehead), Ren’s Clarimatte Balancing Cream helps to manage oil prone skin. Flavonoids and salicilin are sourced from mayblossom and willow bark for this creams natural skin boost and shine reduction. Many people also choose to specifically target the area under the eye to reduce bags and dark circles. 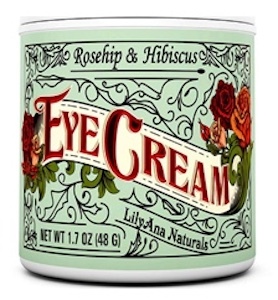 LilyAna Naturals’ Eye Cream tightens and lifts as it hydrates the delicate skin around your eyes. Nourishing ingredients like vitamin C, vitamin E, and organic hibiscus flower extract help to create this well rounded moisturizer. Ending your morning skincare routine with sunscreen application can help to prevent a significant amount of skin damage. 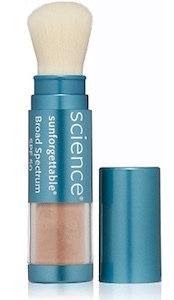 Colorescience Sunforgettable makes sunscreen easy to apply without increasing the oil on your skin. This hydrating sunscreen also helps to protect your skin from everyday air pollution. Colorescience Sunforgettable is available in four shades and can even be applied over makeup.